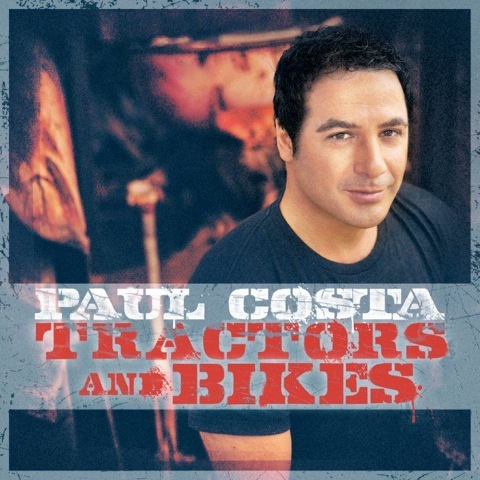 The first single Tractors and Bikes from Paul Costa’s forthcoming fourth album Wheels & Steel is the perfect representation of this evolving songwriter. The song is inspired by Paul’s childhood and gives an insight into his life experiences and his early years growing up on a farm. It is an upbeat track that instantly grabs the listener and one of those tunes where it is hard to keep your feet still. It was this upbeat style that Paul wanted for a first single. “We wanted a song that really represented the sound and vibe of the album,” he says. “This song is fairly indicative of this for me, this is the one that I chose from the word go that represented the energy of the album.” Growing up on a farming property in the Mallee, Paul says the two constants in his work life were tractors and motorbikes, something many from farming communities will resonate with. Paul co-wrote the track with Tamara Stewart and Drew McAlister, two impressive songwriters who helped bring the story behind the song to life. “It is about how we worked hard, but played hard too,” Paul says. “It was a whole lot of fun. Those are the years that really shape who you are.” Those early years provided much inspiration for Paul and come through in many themes in his forthcoming album. He says he found it something of a natural progression to put those themes and ideas into this record, drawing songs from his own life experiences. He wanted to draw on ideas that people would relate to in their own lives. The clip, which will be released alongside the single on June 15, certainly depicts the fun vibe Paul was looking for when he penned the track. The clip features a big range of tractors and motorbikes, and some standard fun shots of motorbike jumps, and lots of dust. It was a scene that brought Paul back to his childhood and was the perfect depiction of the song which is close to his heart. In fact, the whole Wheels & Steel album, due for release in July, showcases another side of Paul Costa. His fourth album, it shows a songwriter who has found his feet, is comfortable with his music and has stemmed inspiration from his own life. The album really is Paul Costa and if the first single, Tractors and Bikes, is anything to go by, it’s going to be turning heads in the Australian music scene over the next few months.